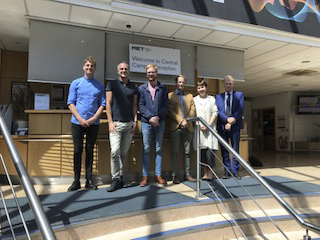 The Principals and Chief Executives of Brighton's Sixth Form and Further Education Colleges met with the three Members of Parliament for the city just before the summer break to talk about educational issues facing each College and this phase of education collectively. Upper most in the minds of Principals was to continue lobbying for fair funding for students. The 'Support Our Sixth Formers' campaign, being run by the Sixth Form College Association and Association of Colleges is arguing for an immediate £200 per student uplift in funding to improve the education and support offered to 16-19 year olds. Discussions also focussed on curriculum provision with recent changes to A levels, applied general courses and apprenticeships in mind and with the introduction of T levels in the future all present were keen to ensure that 16 year olds in Brighton and Hove have a College place that is right for them and their future aspirations.